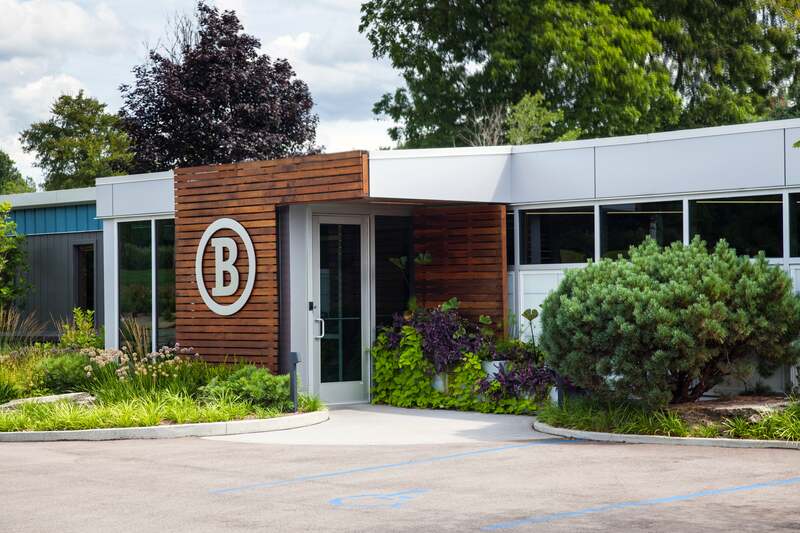 A local manufacturing company wished to improve its outdoor spaces on its 20 acre campus. The campus consists of 3 buildings: a tool and die shop, an electrical assembly building, and daycare with gymnastics facility. Most of the acreage is used for buildings and parking, creating a challenge to bring green spaces onto the campus. 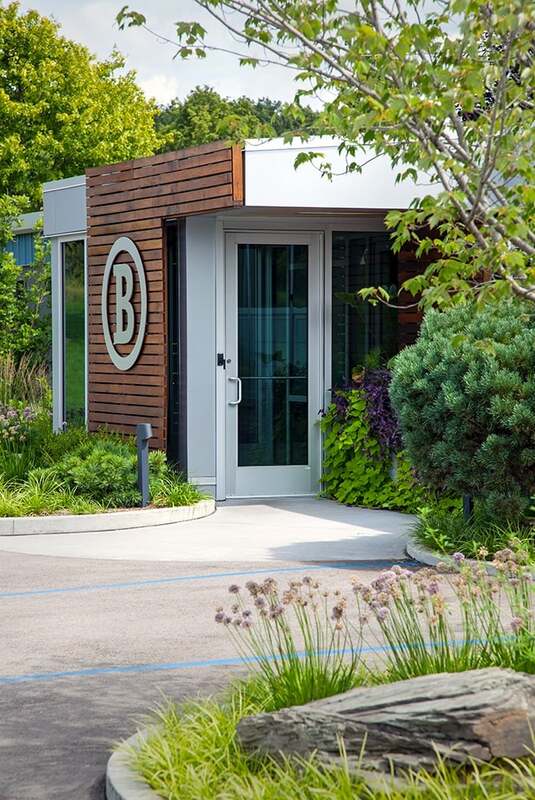 Even though space was limited, our landscape architect used the available spaces, including parking islands, to create areas that can be enjoyed by corporate staff. 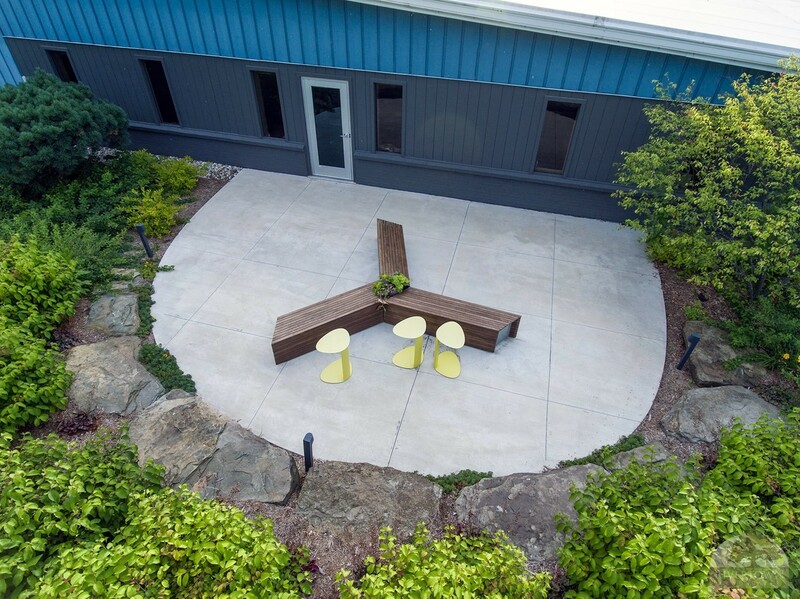 Upright evergreens were used to enclose patios connected to indoor offices, creating private outdoor spaces for employees to relax. 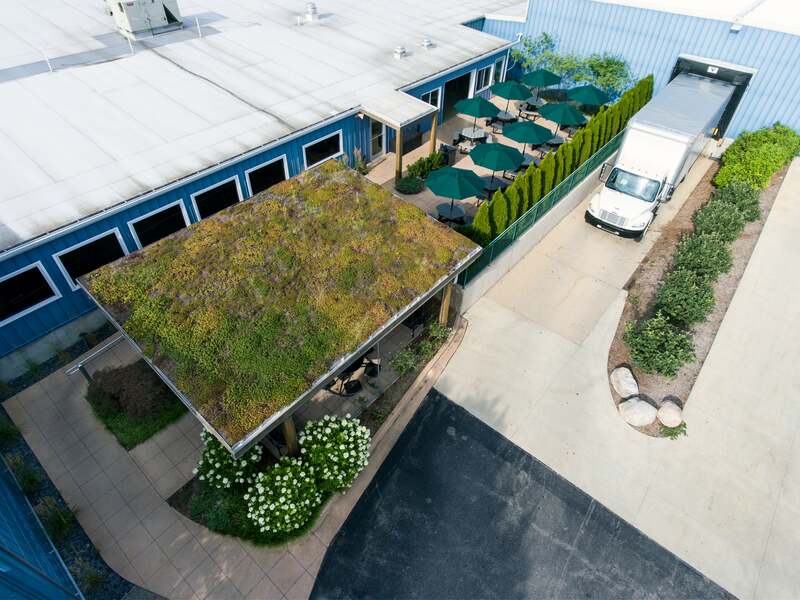 Recycling energy used in their manufacturing process was used to heat the patio surface, enabling a snowmelt system. 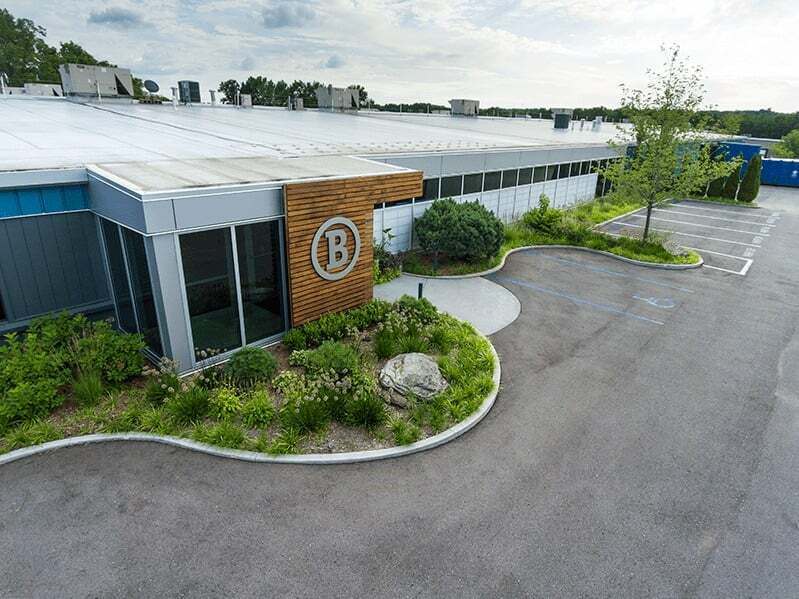 Many native shrubs and perennials were used to border walkways of the campus for more inviting green spaces around the manufacturing facility. A rain garden was installed in a culvert area to help control the runoff from buildings and parking areas. 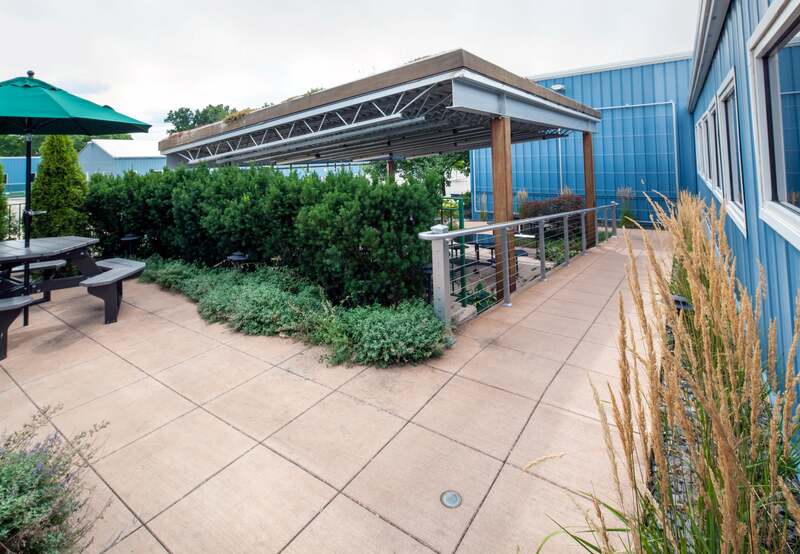 Cooling shade and rain protection was provided with the addition of a green roof over a patio. Office and manufacturing buildings were linked by outdoor common areas, creating a campus that enhances the corporate image.